This a great story and one that I think will ultimately be successful. Bengals wide receiver Chad Ochocinco said he’s planning to form his own social news network on Twitter, using his player contacts around the league to break news about other teams. This would be a great source for sports news, especially within the NFL. I’ve written before about how sports dominates Twitter (read article here). Without a doubt, on any given Sunday, Twitter is lit up with NFL sports talk. And on Saturdays it’s college football talk. So the foundation is there for sure. 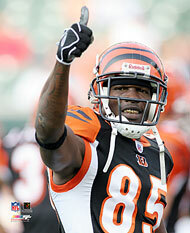 Plus, with Ochocinco’s contacts within the NFL, this is sure to be – if nothing else – an exciting story to follow.